For definitive details of the specific differences in all the various Blonde On Blonde mono and stereo mixes, see Roger Ford's "Electric Dylan" site: . 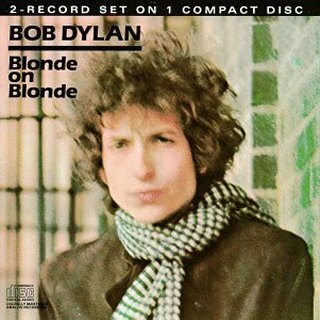 Only tracks which appear in other places than the Blonde On Blonde album are now listed separately. 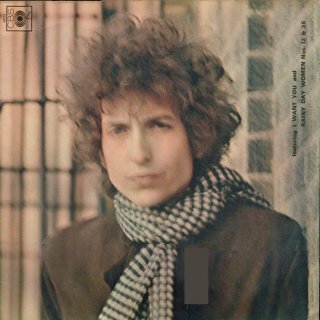 For a discussion of the pictures removed from the inside of the original gatefold sleeve see The Blonde On Blonde Missing Pictures. These include a unique version of Sad Eyed lady of The Lowlands with a vocal slip edited out of all subsequent releases, even the version of Take 4 included on the Nov 2015 18CD set The Bootleg Series Vol. 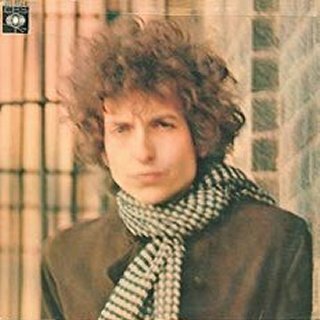 12 – Bob Dylan 1965-1966 The Cutting Edge Collector’s Edition is the corrected version, not the original version from this album! The UK release is a combination of mixes: Sides 1 & 2 - Canadian mono mix, Sides 3 & 4 - US mono mix. For mono edits of Rainy Day Women #12 & 35 and Pledging My Time that don't appear on the mono albums, see here. For mono edits of Just Like A Woman that don't appear on the mono albums, see here. For mono edits of One Of Must Know (Sooner Or Later) that don't appear on the mono albums, see here. For a mono edit of Leopard-Skin Pill-Box Hat that doesn't appear on the mono albums, see here. For more details and pictures, see Mono Album Releases. 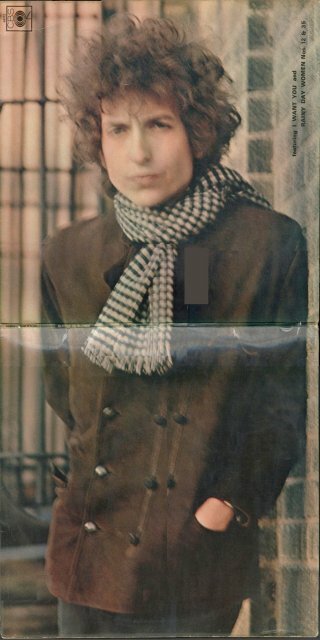 For the story of the inner gatefold see The Blonde On Blonde Missing Pictures. 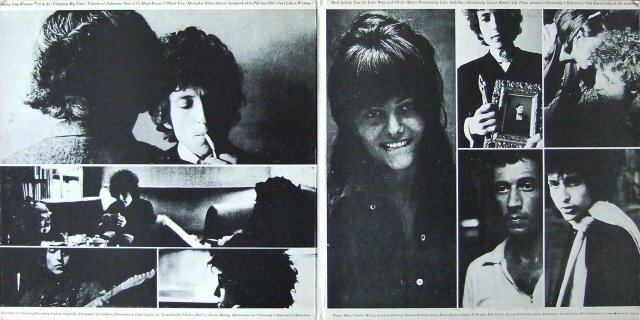 The Sundazed LP reissue has the revised layout, not the original with Claudia Cardinale. 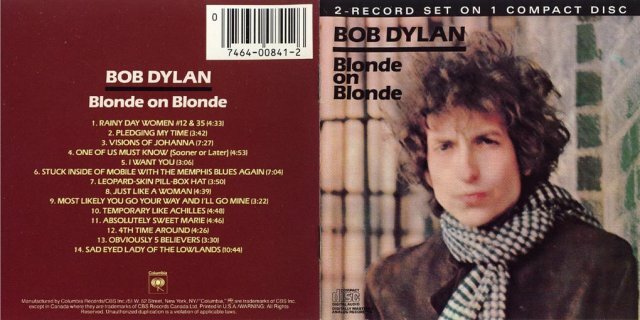 The mono LPs of Blonde On Blonde have significantly different mixes and the length of the tracks frequently differ, by up to 50 seconds in some cases (information from Les Kokay and Roger Ford). This version has now become available again since the US mono LP was re-released by Sundazed in Oct 2002. 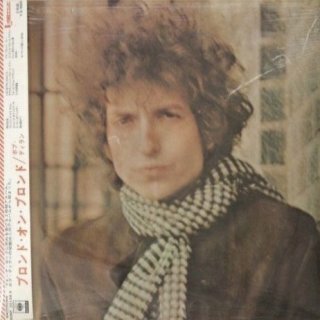 Yoshihiko Satake tells me that the Japanese stereo LP release of Blonde On Blonde is closest to the US mono LP - see below. The late Sam Visser had a copy of the C2L 41 Canadian mono LP which he believed was an earlier mix than the US mono album, this is confirmed by Roger Kornovich who has a copy of the same album. The discs are of heavy vinyl (approximately 180gm) and have matrix numbers: Side 1 - XLP113761-1A, Side 2 - XLP113762-1A, Side 3 - XLP113763-1A, Side 4 - XLP113764-1A. Roger Ford says it is different on all four sides from the "final" mono mix used on the Sundazed reissue, and different on sides 3 and 4 from the earlier mix used on UK/European mono pressings. 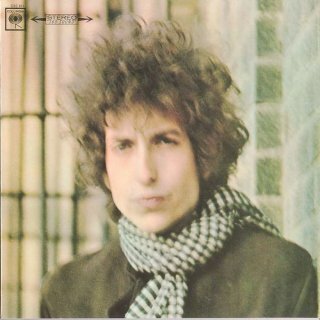 The mixes are very noticeably different on Most Likely You Go Your Way (And I'll Go Mine) and 4th Time Around, and Bob makes a vocal slip on Sad Eyed Lady Of The Lowlands (Take 4) that's been rectified on all other releases. At the end of the fourth verse he sings "how could they ever have...uh...'suaded you". This was corrected by a splicing from Take 1, "how [could they ever have persuaded] you". 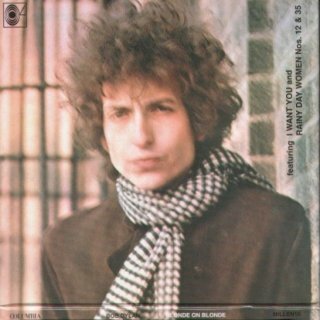 Ironically the version of Take 4 included on the Nov 2015 18CD set The Bootleg Series Vol. 12 – Bob Dylan 1965-1966 The Cutting Edge Collector’s Edition is the spliced version, not the original version from this album! The inside of the gatefold sleeve is pasted on the heavy card cover, and the records have plain white sleeves. This release has the Claudia Cardinale picture on the inside gatefold and "Memphis Blues Again" on both the sleeve and the Side 2 label. Thanks to Sam Visser, Roger Kornovich, Roger Ford and Stephan Pickering for information and to Gerd Rundel for the scans. Thanks to Yan Friis for the information that the album first charted in the UK on 20 Aug 1966, confirming this release date. This set has the Canadian mono mix on Sides 1 and 2, and the US mono mix on Sides 3 and 4! It therefore doesn't have R-0050 from the US mix on Side 1 (see above). Thanks to Hans Seegers, Roger Ford and Robert Kornovich for information and scans. For more information, see Mono Album Releases. 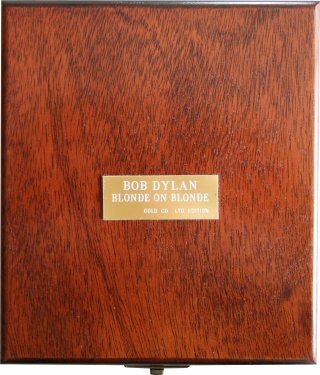 This French release is unique in that it has a completely different centre with French sleeve notes and pictures of earlier CBS France Dylan releases. All the pictures in the US/UK gatefold centre are missing. It uses the US mix on Sides 1 and 4, but has unique mixes on Side 2 and 3. Roger Ford thinks these are later mixes than the US mix, while the Canadian mixes are earlier. Stuck Inside Of Mobile With The Memphis Blues Again is here given as just "Memphis Blues Again" on the cover and record label. This track from Side 1 of the US mix is listed separately because it was released as a single. The test pressing from Arie de Reus is unusual in that the reverse of the first record is actually Side 3 (Side 1 of the second commercial LP), whereas the second record has Side 2 as its first side (Side 2 of the first commercial LP) and Side 4 as its reverse (Side 2 of the second commercial record). This test pressing is dated 9 Sep 1966. Thanks to Chris Hirte for the scans. 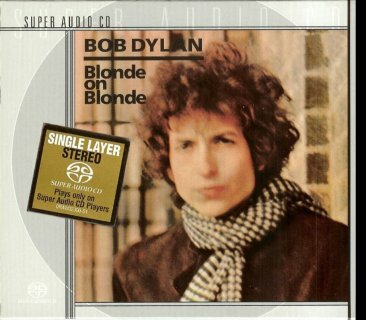 For a full listing of Blonde On Blonde stereo releases, see International Albums (Regular). The current CD release contains the CD layer of the 2003 hybrid SA-CD release, the same mix as the 1999 SA-CD stereo mix by Michael Brauer. 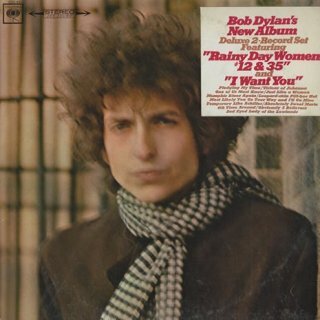 Rainy Day Women #12 & 35 (CD16, track 20); Pledging My Time (CD15, track 15); Visions of Johanna (CD13, track 10); One Of Us Must Know (Sooner Or Later) (CD12, track 2); I Want You (CD17, track 11); Stuck Inside Of Mobile With The Memphis Blues Again (CD15, track 2); Leopard-Skin Pill-Box Hat (CD17, track 5); Just Like A Woman (CD16, track 8); Most Likely You Go Your Way (And I'll Go Mine) (CD16, track 14); Temporary Like Achilles (CD16, track 18); Absolutely Sweet Marie (CD15, track 6); Fourth Time Around (CD13, track 6); Obviously Five Believers (CD17, track 4); Sad Eyed Lady of the Lowlands (CD14, track 4). See note about this release date for the mono release above. This mix was used on the 2LP stereo releases in Europe, such as the UK in 1966 and Holland in 1967. It was also used on the first releases of the album in Japan (see below). Columbia C2S 841 (USA) - 2LP release The first US stereo mix released in 1966 was replaced in 1968 by a revised mix (source Roger Ford and Robert Kornovich.). 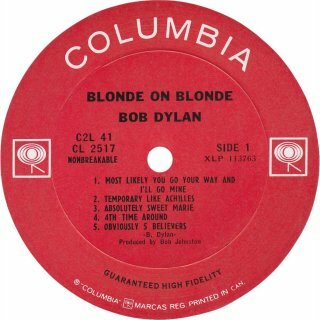 This mix had appeared earlier in international releases, such as the first Australian and New Zealand releases in Sep 1966 and the separate Blonde On Blonde Vol. 1 release in Holland in 1967. Thanks to Larry Crum for pointing out that this mix also appeared on the UK vinyl and cassette releases in 1982. A previous note that there was a 1982 CD release with this mix was not correct. I have been previously told that several tracks on this release have different lengths and different mixes from the US stereo album. This was said to apply only to the first pressing of SONP 50158-159 only - later pressings were the same as the US album. (The matrix number in the centre of the album has "01" at the end.) However, Robert Kornovich now states that the first pressing of SONP 50158-159 is exactly the same as the first US stereo mix which was used from 1966 to 1968, as are subsequent pressings. SONP 50158-159 was the second Japanese release of Blonde On Blonde - the album was originally released in Japan in two parts: Record 1 - Rainy Day Women 12 & 35: Bob Dylan/Vol. 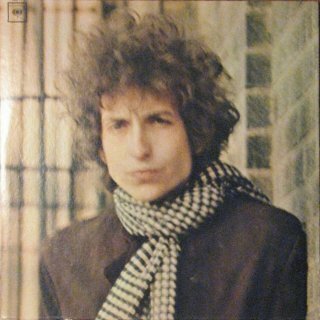 5, CBS YS-672-C, Sep 1966; Record 2 - Blonde On Blonde: Bob Dylan! Vol. 6, CBS YS-748-C, Mar 1967. As far as I know these too had the1966 US mix. 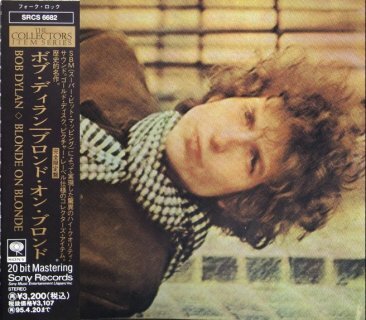 "Temporary Like Achilles: extended version (5:18 versus 4:57 on the U.S. LP) with a later fade-out on the Japanese. I didn’t notice a different mix on this one. Visions Of Johanna: alternate mix + extended version with later fade out (7:34 versus 7:29 on the U.S. LP) on the Japanese version. Obviously 5 Believers: extended version with later fade-out on the Japanese (3:37 versus 3:31 on U.S. LP) Again, I didn’t notice a different mix here. 4th Time Around: very alternate mix, with the organ or accordion or whatever that is, on the Japanese version. Same timing, but Japanese goes longer before the fade-out begins. (R-0063)"
Thanks to Roger Ford and Hans Seegers for the information, and to Hans Seegers and Seiji Murata for pictures. Thanks to Thomas Wilmeth for the information and to Hans Seegers for further information and scan. For more details and scans, see International Albums (Regular). Several tracks of the album were originally edited so that the 2LP set would fit on to a standard late 1980s CD! The 1988 "standard" Columbia CD was remixed by Tim Geelan, see International Albums (Regular). The 1992 Mastersound Gold CD (see below) was remixed by Mark Wilder. The 1999 Super Audio CD (SA-CD) was remixed by Michael Brauer and from Sep 2003 is the "standard "release, see International Albums (Regular). VERSION 1, released August 1987. Package: Columbia CGK 841, disc Columbia CK 9316. The outer edge of the disc has this: "MADE IN JAPAN"; the inner ring has "LAL (weird symbol) 2" -- the weird symbol is something like an upside down triangle on top of a stick! There are no track times on disc. "Sad Eyed Lady Of The Lowlands": booklet and rear sleeve time of 10:44. The front cover of the booklet has a 3/8" black strip which reads "2-RECORD SET ON 1 COMPACT DISC"
VERSION 2, released when? Package and disc Columbia CGK 841; disc adds "DIDP 070406". The "DIDP" number (Digital Identification Popular) was a code used by Sony DADC (Digital Audio Disc Corporation) on CDs pressed in Terre Haute, IN, or one of their other CD plants in the USA, from 1983 onwards (Classical CDs had "DIDC"). Disc inner ring reads "MADE IN USA" with "DIPD-070406 4" The inner ring also has 3 "stars" and then 5 more "stars." The same tracks as above: "Temporary Like Achilles" still 4:48 while "Sad Eyed Lady" now 11:19. My booklet is the same as with the first version so the corrected times are on the rear sleeve but not in the booklet. "Temporary Like Achilles" 5:03 and "Sad Eyed Lady" still at 11:19. The publisher's number for music is the same for all 3 (07464-00841-2)." The pictures below are of the first release above, with Sad Eyed Lady Of The Lowlands at 10:44. Thanks to Rich Wong for these. Rich Wong adds "The pressing for the Aug 1987 release is non-standard in relation to other CBS titles in that it was manufactured in Japan by Nippon/Columbia-Denon, a firm that actually pressed many captive import discs for sale in the USA up until 1987. The particular type of dot matrix imprinting on the center ring gives this away. In addition, the disc has the non-standard ring matrix of CK-9316, in place of the DIDP mastering code that would be prevalent for normal CBS discs pressed at the Digital Audio Disc Corporation plant in Terre Haute, Indiana. Also, the numbers 1A1 and 72 are imprinted on the ring, which I would presume to be batch codes that are a similar syntax to that found on other Nippon/Columbia-Denon disc pressings." This confirms Tim Dunn's information. The different versions available of this album are very confusing, as each separate release throughout the years has had different mixes and track lengths. The first version on CD had several tracks truncated so it would fit on the then CD maximum length of 72 minutes, but the current CD releases and the Sony Mastersound gold CD version restore the lengths of most. 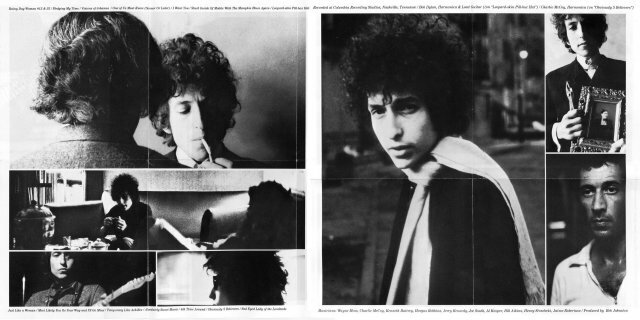 For full details, see Roger Ford's articles in issues 2 and 3 of the Dylan fanzine "The Bridge" (For subscriptions, email ). These can also be found here . The 1999 Columbia Super Audio CD (SA-CD) version became the definitive stereo version, but because of the cost of SA-CD players it was available to very few people. The two-disc Sep 2003 hybrid SA-CD release institutes the CD layer of this mix as the standard version, see International Albums (Regular). 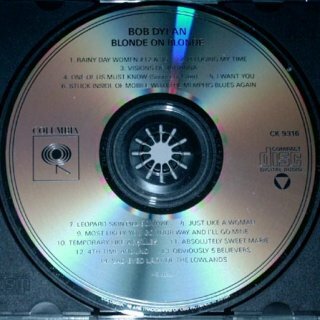 The CD layer has now been released as a single disc in Europe and the USA in 2004, and is now the regular version. 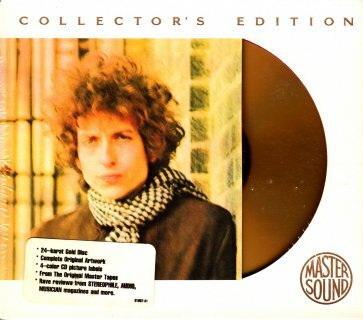 The "Millennium" release of Blonde On Blonde (in a card sleeve) is thought by many to be as good as, if not better than, the Mastersound gold CD. 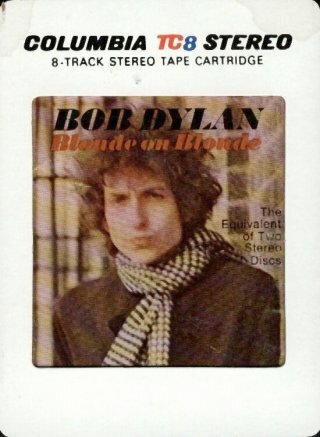 Thanks also to Hans Seegers, Andrew Russ and Jean-Luc S from France for information on the Blonde On Blonde versions. The 1992 release of the US gold CD came in a 12" x 6" book-style digipak, and the 1994 release in a slipcase like the European edition. 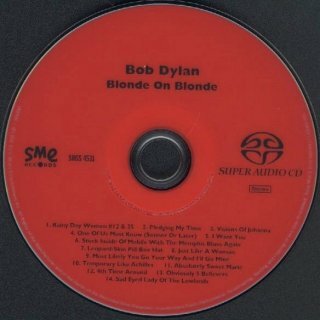 Roger Ford says: "In 1992 Sony in the US brought out a new CD edition of Blonde On Blonde as one of the first releases in their MasterSound audiophile series. It came in a fancy 12" x 6" box, had a 24-karat gold reflective surface and was digitally mastered using a new 20-bit process which Sony called Super Bit Mapping (SBM). Much more significant than all this, though, was the fact that it was yet another remix, this time almost certainly from the four-track studio masters. For the first time, the packaging identified the person responsible: "Remixed and Remastered by Mark Wilder, Sony Music Studios, New York". Wilder is a Sony staff engineer whose name has appeared on remastered CDs from numerous other Columbia artists, including Dave Brubeck, Miles Davis and Bloomfield/Kooper/Stills, and he is credited with "digital editing" on the 1998 Live 1966 release. In general, Wilder seems to have tried to get closer to the original stereo vinyl mix, but with improved sound quality - a worthy idea from the point of view of authenticity, even though the original stereo mix wasn't all that good to begin with. His efforts are let down, though, by what seems like careless editing, with very abrupt fade-outs at the end of many of the tracks. 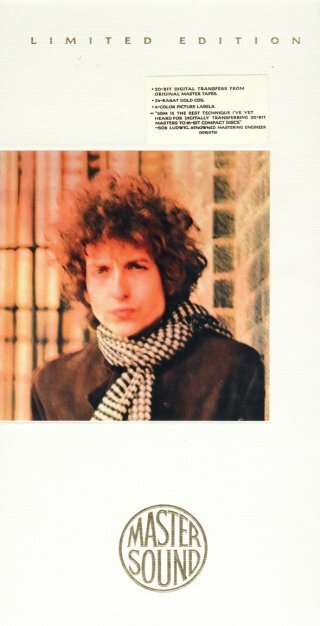 Rumour had it that Dylan's office was not pleased to learn that Wilder had taken the liberty of remixing the album. In 1994 this MasterSound gold CD edition was reissued in the revised MasterSound series packaging - a jewel case inside a cardboard sleeve, with an open-out insert." 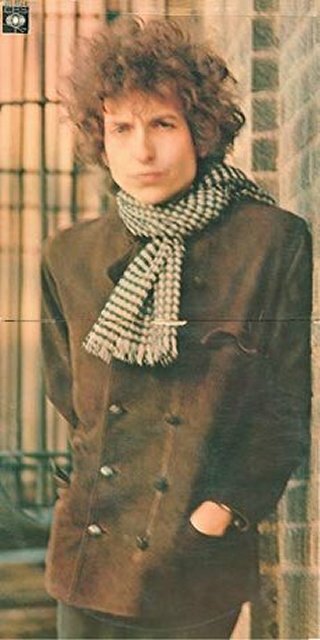 See Electric Dylan . Gerd Rundel has a copy of the Japanese release SME Records SRCS 6682 in a magnificent wooden box with gold plated clasp and hinges, plus an inscribed gold plate. Hans Seegers is of the opinion this was a privately-produced "vanity" project independent of Sony, replacing the jewel case of the regular copies with a limited edition wooden box. The European CD has an extra serial number "DIDP 11263". The "DIDP" number (Digital Identification Popular) is a code used by Sony DADC (Digital Audio Disc Corporation) on CDs pressed in Terre Haute, IN, or one of their other CD plants in the USA, from 1983 onwards (Classical CDs had "DIDC"). This gold edition of the album was replaced by the 1999 Super Audio CD (SA-CD) release, see International Albums (Regular). Thanks to Hans Seegers for information and scans and to Jack Guerreiro for further information. For more details and scans, see International Albums (Regular). Thanks to David Burgess for information and scan. Even though this is a silver CD, it is the same mix as the former UK gold CD (see above). The inside of the digipak has the original right hand picture layout with Claudia Cardinale, this time on the left. Thanks to Roger Ford for information and scans. 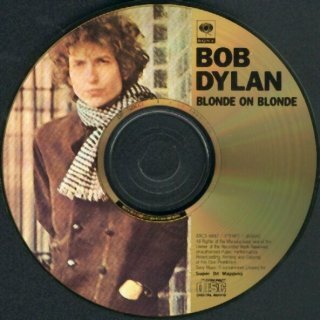 Roger Ford informs me that the 2003 UK digipak reissue of Blonde On Blonde is actually the Mark Wilder gold CD mix - more details and scans required. Thanks to Jack Guerreiro and Hans Seegers for information and scans. Columbia C2H 90325 (USA/Canada) - front of booklet (my copy) This release is housed in a three-part fold-out digipak and contains a CD version and SA-CD versions in stereo and 5.1 surround sound split over two discs. 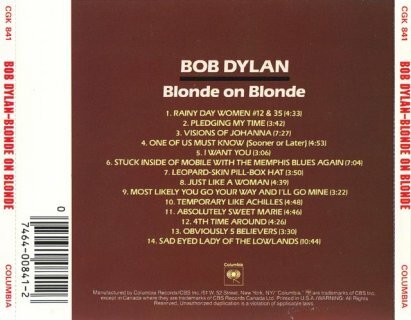 It was necessary to restore the two-disc format of Blonde On Blonde because the three versions of the album would not fit on one disc. The CD layer stereo version is the latest release and therefore not a rarity.